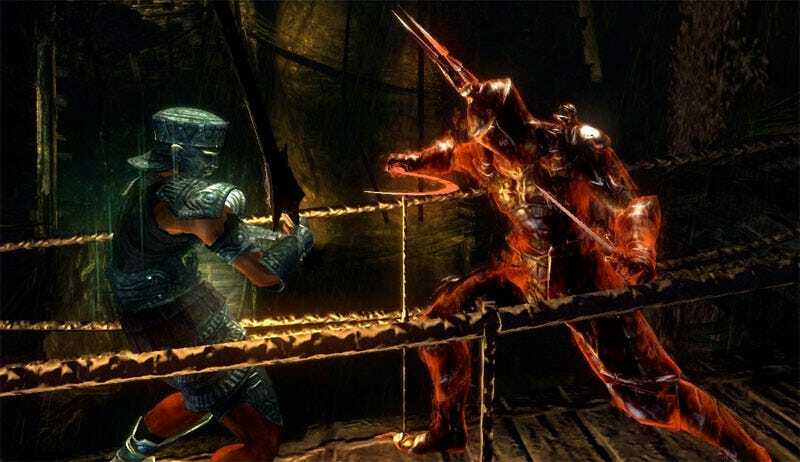 Sony: Passing On Demon's Souls "A Mistake"
Sony Computer Entertainment published From Software's brilliant Demon's Souls in its native Japan, but when it came time to take it westward, it was up to publisher Atlus to step forward and localize the PS3 game. "That was a mistake." So says Sony Computer Entertainment VP of international software Yeonkyung Kim, according to 1UP's account of his GDC appearance. "It should have come out as a first-party title," Kim said. Sony expected initial shipments of 15,000, but the game has since gone on to see impressive sales in the U.S.
Sony Computer Entertainment America may take comfort in the fact that it wasn't the only publisher to take a pass on Demon's Souls, but chances are looking good that, if Demon's Souls II comes to be, it will have publishers lining up to grab distribution duties. Frankly, though, here's one vote for Atlus bringing us the sequel and strongly supporting that one too.